WebOS, the property of computing firm HP came and went in an embarrassingly short-lived adventure, but it's now back thanks to some dedicated volunteers. A team known as Phoenix International Communications has come together to produce a port of WebOS which runs over the top of Android on smartphones. Currently it only works on the Samsung made Google Nexus S (they're using the 4G US version), appearing as an app on the device – but from the video the collective posted online, it's pretty sluggish. That said it's only a pre-Alpha build, meaning the project is still very much in its infancy, so it wouldn't be too much of a surprise if we saw speed improvements in the future. 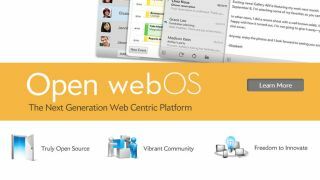 HP gifted webOS to the open source community towards the end of last year, and in September HP released an open source beta version for developers to play with, shortly followed by webOS 1.0. It looks like people have been more than happy to take up HP's offer, and we're pretty sure we'll be seeing webOS in a few more guises over the next year. If you fancy checking out this early build, the group have posted the following video on YouTube showing off their work.